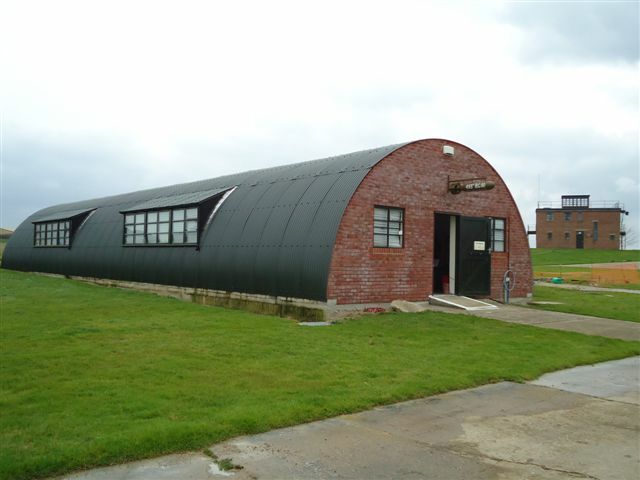 This large Nissen hut has been restored and now contains numerous displays depicting times of war and after the war when POWs and displaced persons inhabited the Airfield. 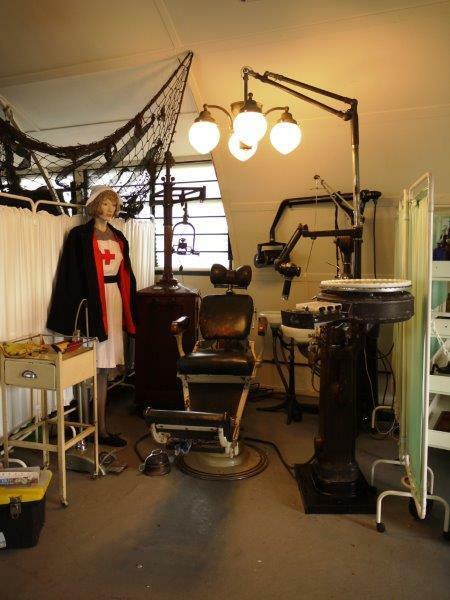 The hospital display features typical "field" operating equipment, medical supplies, instruments and apparatus used in the 1940s. Some of this equipment would have been seen by the men of the 493rd Bomb Group whilst visiting the onsite hospital at Debach Airfield. Also on display are the different uniforms worn by female nursing staff of the era. New for 2012, this display has been split up into three sections. Firstly, the treatment/dressings station, then alongside is a classic ward scenario. Opposite these two displays we have a field hospital operating theatre with associated portable equipment (note the original packing cases). Alongside the theatre is a jeep generator which would have provided electrical power in the field. The Dentist Surgery is a completely new display for 2015. Equipment is typical of that used in the airfield hospital at Debach during 1944 -45. Not only men were called into action, women played an equally important role during the war and the years afterwards. On display are some of the voluntary services provided by these women. They include the FANYs (First Aid Nursing Yeomanry) WVS (Women's Voluntary Service) Civil Defence, Munition and factory workers and the Red Cross, to name but a few. Within the Museum are three private collections. One of which contains military uniforms and memorabilia. Another shows items which have been dug up and discovered around the site. Perhaps one day we might find a “Flying Fortress” to exhibit as well!! The third collection section contains toys and other works of art made by the Prisoners of War. Both Italian and German POWs were housed here and they used their spare time make all kinds of interesting objects from anything they could lay their hands on. The armoury collection illustrates some of the weaponry and essential supplies used in the field. The display includes radio equipment and ration packs, as well us numerous other small (and large) items. In pride of place, is our Veterans corner. All of the items and uniforms have been donated to us personally by Veterans and their families. These must be viewed as this collection ranges from uniforms to silk escape maps, personal papers, dog tags and even a Hitler’s Mother’s medal. There is quite a story to that one and can be seen on the memories page of the website. A prominent feature within the Nissen is a large scale model of a liberator B-24 bomber called "the Shack". This model is huge and was made and loaned to us by Mr Brian Atkins. Each one of the 36,000 rivets is depicted by a single pin head (count them!) and the detail is amazing. 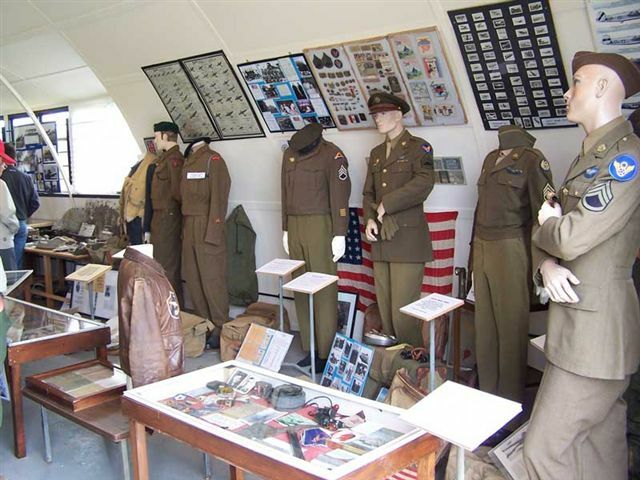 Such is the content of the Nissen Hut Museum that the only way to do it justice is to make a visit and see for yourselves.